Do you have scabs from pimples that won’t go away? They may form on your face, lips, chin, cheek, mouth or the corners of your mouth. The scabs may appear as brown, red and sometimes even black. They may become itchy if not properly treated, and you may want to pick at them. DON’T pick them. It can be hard NOT to pop pimples, even though you know you shouldn’t. If you treat the pimples and scabs properly, you won’t be left with a crusty, dry scab or a scar. If you pop your zits, scabs will form, since the skin has been torn. Here are the things you need to know about popping pimple head and boils. Acne scabs can be itchy and cause you to pick them. Before they scab over, zits you have popped will usually swell, bleed and become itchier. Dr. Zakiya Rice, MD, who is a WebMD-interviewed dermatologist, explains that the dirt and bacteria in pimples, when you pop them, will end up in other pores on your face. And THAT will cause even more pimples. AVOID popping your pimples if you want your skin to stay healthy. Scabbed-over pimples, after being popped, lead to scarring on your face. Then you’ll be looking for ways to get rid of those dark spots. Tea tree oil helps to heal acne scabs. 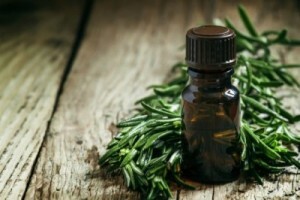 Tea tree oil is an excellent home remedy for scab treatment. It has antiseptic properties and prevents infection from bacteria on scabs, as well as wounds and cuts. Use a clean absorbent cotton ball. Drip a bit of tea tree oil on the cotton until it is damp. Gently apply the oil on your scabs. Do not apply pressure, or you could break the crust of the scab and cause bleeding. Treat with this remedy once or twice each day to heal your scabs naturally. AVOID picking pimples or scabs on your face. If you want to determine how to get rid of acne scabs the right way, the FIRST step is NOT picking or popping pimples or scabs. We know, it’s SO tempting, but don’t squeeze, pop, rub or scratch them. If you want your scabs to heal more quickly, the clot needs to remain in place on the scab. Scabs act like temporary skin for your pimples. They prevent the pimple from becoming infected by bacteria outside the pimple itself. When you’re trying to heal pimple scabs quickly, do remember that it takes time for a body to heal. If you eat a healthy diet, with plenty of vitamins E, C and D, this will help in healing your scabs faster. Honey helps heal pimple scabs naturally. 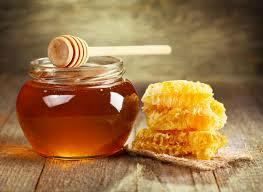 Honey is a natural antiseptic and prevents infections as it heals scabs more quickly. Max D. Gray at OneHowto reports that honey is also an antibiotic, which will improve your skin’s appearance after injuries like pimples. 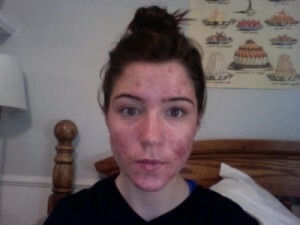 Clean your entire face well, especially the skin around zits and scabs. PAT your face dry (don’t rub) to remove excess water and moisture. Wrap the scabs with hydropolymer dressings. These are available at most drug stores. This dressing absorbs fluid that your pimples discharge. When you keep your scabs drier and cleaner, they will heal more quickly. Apply this treatment one time each day to heal scabs that aren’t healing on their own. Use warm compresses to get rid of pimple scabs overnight. Another DIY remedy for pimple scabs is the use of warm compresses. It has been reported that warm compresses can help remove acne scabs overnight, although we cannot independently verify this. The reason warm compresses work so well is that their moisture softens the skin and then loosens your scabs. Dip a clean washcloth in warm water – NOT HOT. Apply it to your scabs. It will relieve itching and loosen crusts and scabs. Do this two times a day for about five minutes each time, to get rid of scabs. Warm compresses will moisturize cuts, scabs and wounds from zits and pimples. In addition, they increase the blood supply to the surface of the skin where the pimples exist. Warm compresses relieve swelling, too. Scabs on pimples may leave dark spots or scars. MadeMan recommends that if you’ve allowed yourself to pop or pick your pimples and they have ruptured, use Vaseline® to seal them. This allows them to heal more quickly. Petroleum jelly helps to heal cuts and wounds. DO NOT use the petroleum jelly on pimples that are oozing pus or blood. Particularly avoid pimples with green pus, as this means they are infected. Dry off the crusty scabs gently. Apply a thin layer of petroleum jelly on your scabs. This moistens them and protects them from intrusive bacteria. Petroleum jelly will also loosen a pimple scab and make it go away sooner. With petroleum jelly treatment, you may heal your scabs in a short period of time, even though the wounds beneath the pimples may remain. Aloe Vera helps to get rid of pimple scabs speedily. Aloe Vera gel helps to heal wounds, cuts and scabs that are infected. Aloe Vera has been used for years to heal sunburn and cuts. It can also be used to quickly get rid of pimple scabs. Natural Products Network reports that aloe Vera gel is helpful in soothing the itch and discomfort of pimple scabs. It also prevents scars from forming. Break an aloe Vera leaf and squeeze it to get to the gel. Apply a thick aloe Vera gel to your pimple scabs. Let the gel remain on your face for two hours or so. You can also just leave your face with it on while you sleep overnight. 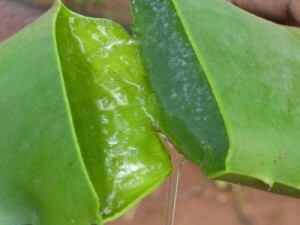 In addition to healing pimple scabs, aloe Vera will lighten scars and any dark areas on your face, caused by breakouts. These two products help in the treatment of infected pimples. You can use them as OTC treatments, but you’ll want the pimples to remain dry, to accelerate their healing. Baking soda is used widely in many home remedies for all kinds of health problems, including skin issues. Pimple scabs may be treated using a paste made from baking soda and water. Baking soda is an antiseptic and a fungicide. When you use baking soda on acne scabs it will tighten them, allowing them to loosen from the base pimple. This will draw it away from your pimple and allow it to fall off. Mix a small amount of baking soda with water in a bowl. Mix it until it forms a paste. Apply this paste and cover each pimple scab completely. Repeat daily once or twice until the scabs fall off. Clean your entire face with a mild cleanser and warm (not hot) water. PAT your skin dry. Use cotton balls and dab a gentle toner on your scabs. This softens your skin. Apply an even moisturizer layer on your face and give the skin time to fully absorb it. Put a bit of Vaseline® on the scabs. Apply foundation on your entire face. Dab the scabbed areas until they are covered. Apply a cream concealer. Don’t loosen or break the scabs. Dust off your entire face with translucent powder. Concealer can help to hide pimple scabs, but it’s not a permanent fix. Cosmetics actually SLOW the healing process, so don’t cover them with makeup unless you need to. Next articleWhy Does my Belly Button Smell? It would be beneficial for you to continue to monitor your symptoms at this time. 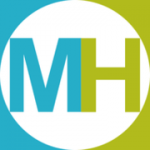 You will want to speak with a medical professional about your concerns. Perhaps ask about reducing or eliminating your medication. This will help you determine the best course of action for you to take. Do not stop using your medication unless you speak with your medical professional. Best of luck, Anna!